They do have a TF drink bottle and a TF lunch box. No Matt Shirvington lunch box though, nor do I want to get my hands on them. I emailed them this afternoon. They were only online. Our 790442 TRANSFORMERS LEGION TOYS, unfortunately, aren’t due to be restocked. So sorry I haven’t been able to find this for you! While they are not currently on the purchase order this may change, so please keep an eye out on our website or get in touch with us again to check for you. We’re focused on offering fast, fun fashion that exceeds customers’ expectations and so our styles are constantly changing. To keep up to date with our latest styles follow us on social media or subscribe to our mailing list online. We’re focused on offering fast, fun fashion that exceeds customers’ expectations and so our styles are constantly changing. That's so random by Cotton On. Wonder if they will be doing the other G1 re-releases given how fast these sold out. 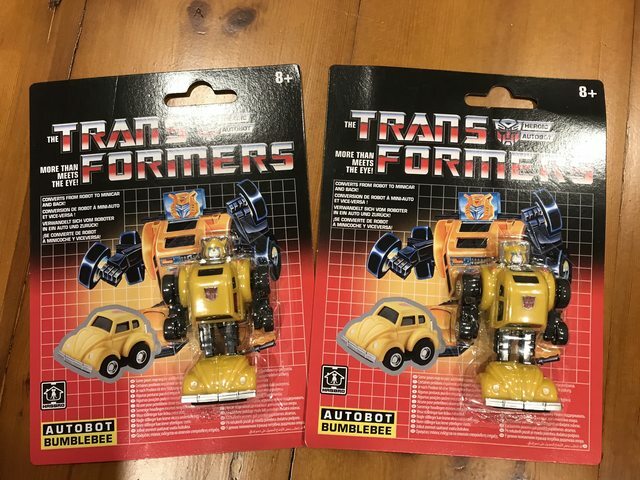 Received my 2 Bumblebees today. Very quick dispatch (ordered Thursday night dispatched Friday from their Victorian DC) and came in well packed. 15 bucks a pop with free shipping that's a pretty sweet deal. But, one of them has a really badly painted head. I haven't bought any G1 reissues since probably the Takara TF Collection days so am not sure about the quality of recent reissues. But I've never seen a mainline Transformer toy with this obvious of a visual flaw in store or from online. Or have I just been lucky? They've started on the low value ones so hopefully they'd stock more? I'd say it's probably a one-off thing. One of the buyers is probably a TF fan. They also had the G1 My Little Pony re-releases, so it might have something to do with the licenses they have for clothing. You're probably right. Too much commercial risk selling the other larger & more costly TF G1 re-releases. These have sold out. I need a brony shoulder to console me. Don't all come rushing at once. I just got screwed over by Cotton on. To be fair to Cotton On Kids, they aren't the usual perveyors of TF toys & not intentionally going out to screw TF collectors. These are legit (as you've mentioned), just not the American version you were expecting. As bummed as you are, you'll be able to flip these no sweat. Last edited by Galvatran; 16th October 2018 at 07:53 AM. 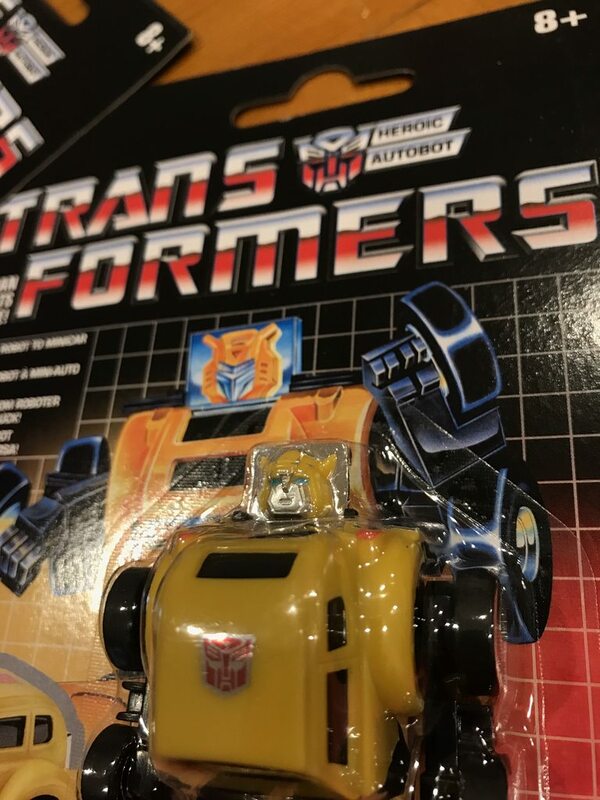 I just bought two sets of G1 Walmart minibots from them, only to find they have NO tech specs whatsoever and are the foreign edition. I’ve seen videos reviews of the Walmart carded minibots and they do have tech specs. If yours aren’t those, which reissue release are they?